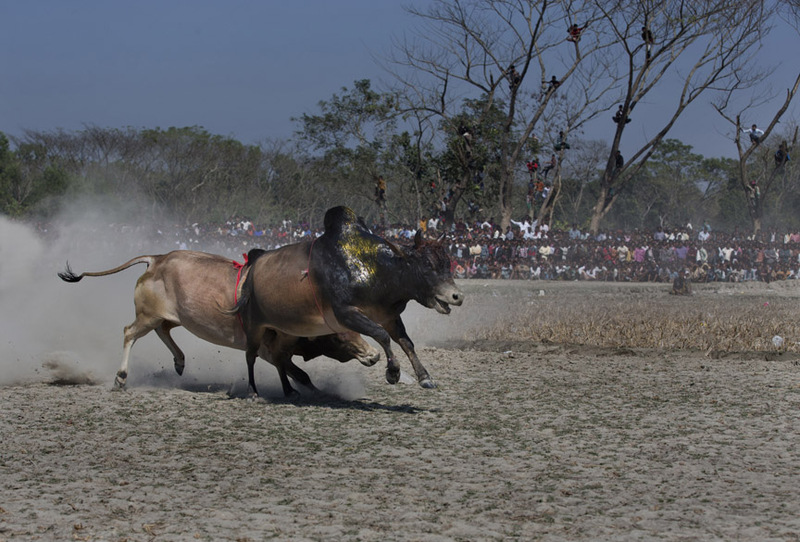 Bangladesh, a land of river, is always been the best place for agricultural development. That’s why; the majority portion of the population is engaged in agriculture. Farmers cultivate different kinds of paddy, vegetables, fruits etc all through the year. Even, some festivities are organized considering the harvesting time of the crop. 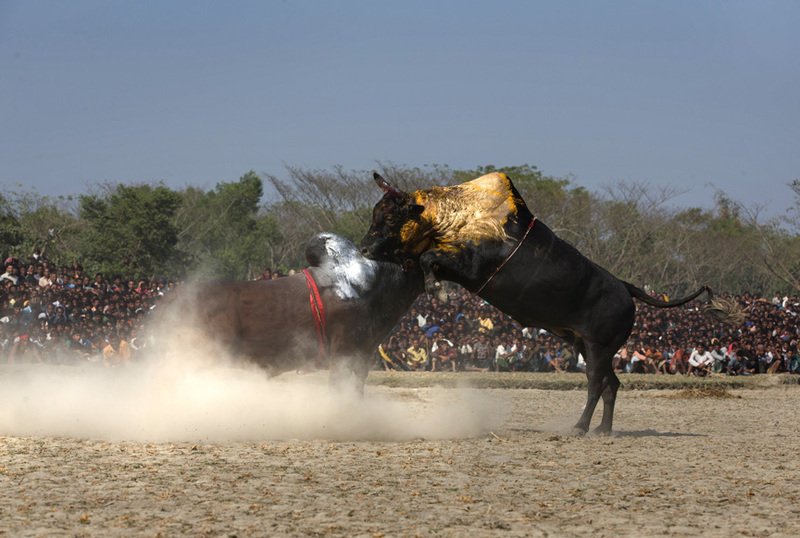 Such a big festival is Nabanno Utshab. 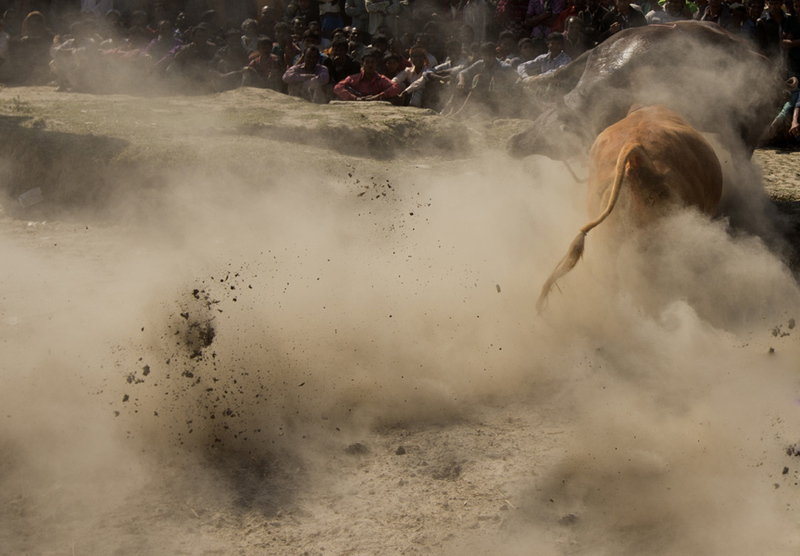 Besides, there is another festival which attracts specifically the rural people very much- that is Bull fight. 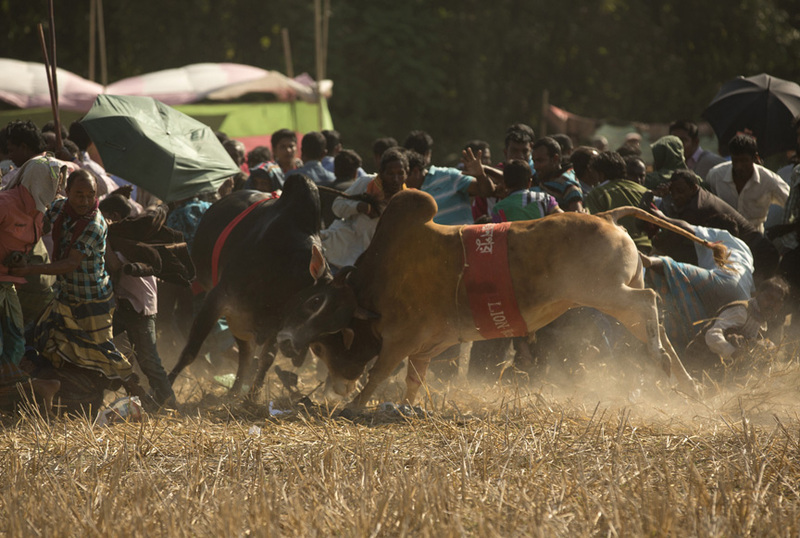 When Bangladesh was more dependent on agriculture, this type of festival would be celebrated vastly all over the country. 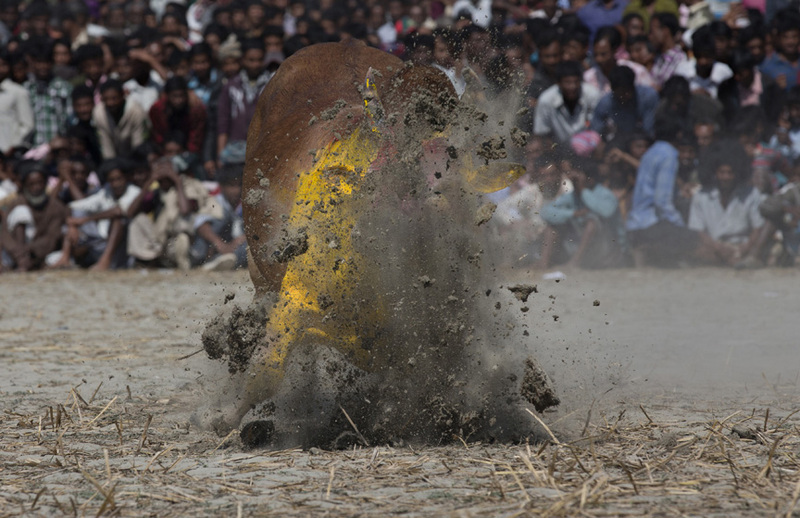 Since the rise of industrial sector, such kinds of festival like Bull Fight have become a rare cultural practice now a day. 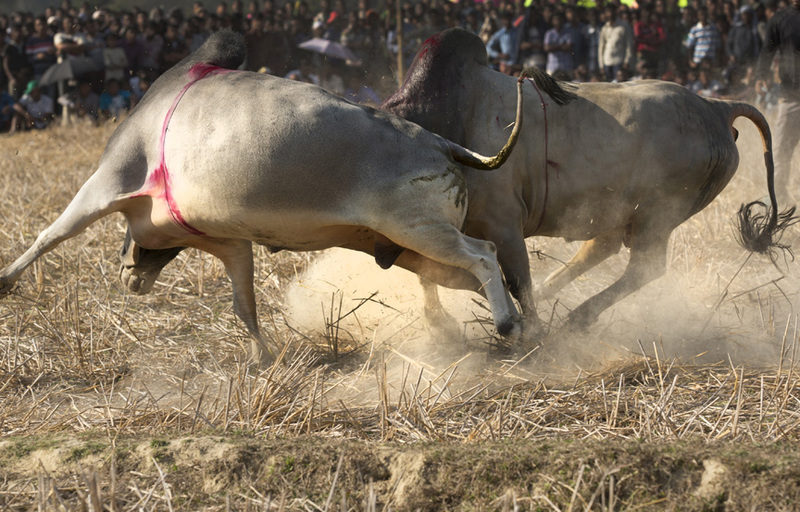 Still, in Sylhet and Netrokona we can find Bull Fight as a vivacious festival for the rural people which give their monotonous life a break. 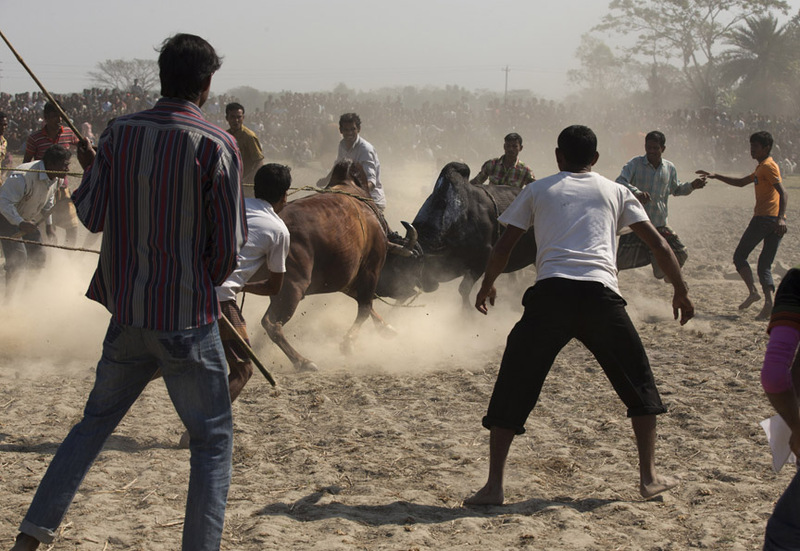 Khuni(murderer), Tufan (storm) etc. The fighting starts at 10 am and ends at 3 pm. 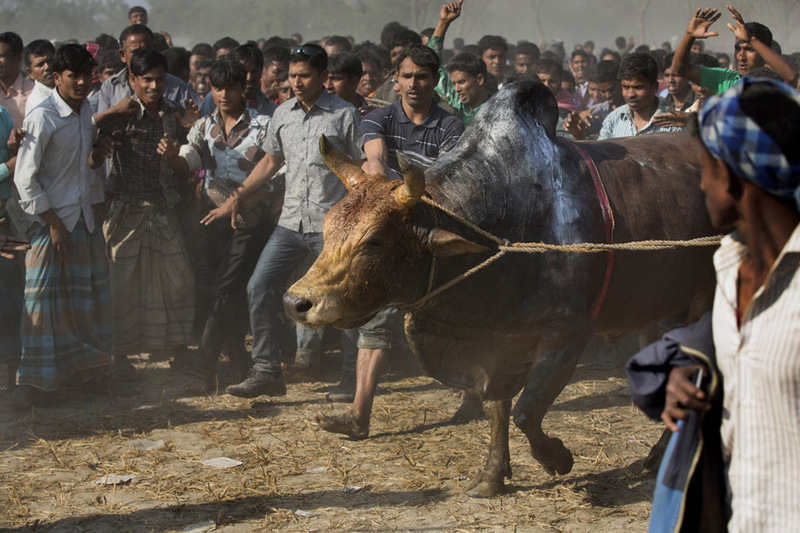 The owner of the winning bull is rewarded with motorcycle or television. 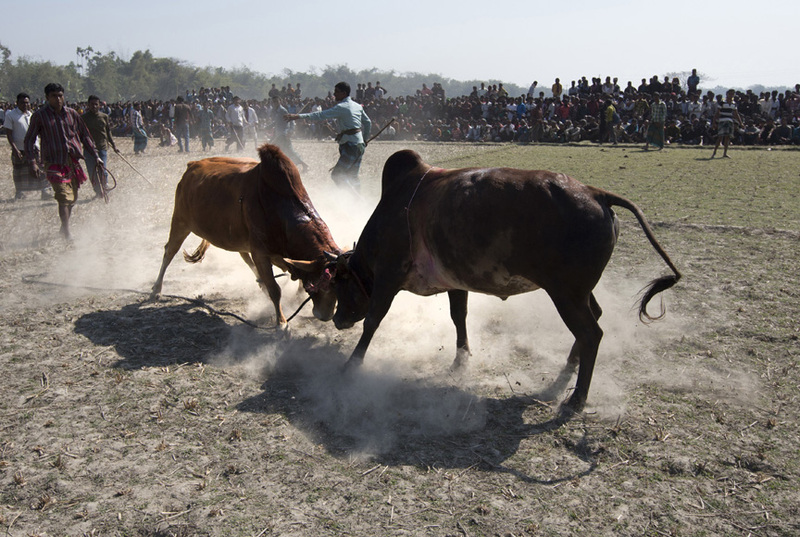 In Netrokona, the enthusiastic people organize bull fight after the Amon harvest. 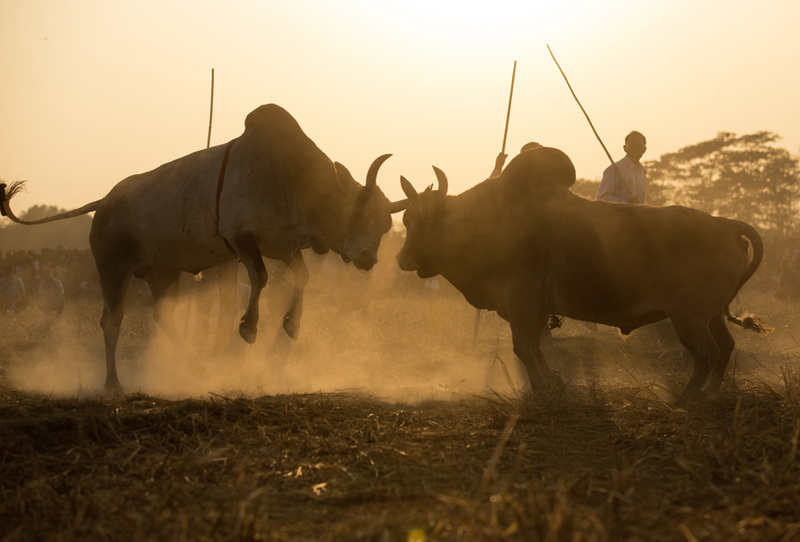 The field of the paddy is cleared and prepared for the fight. 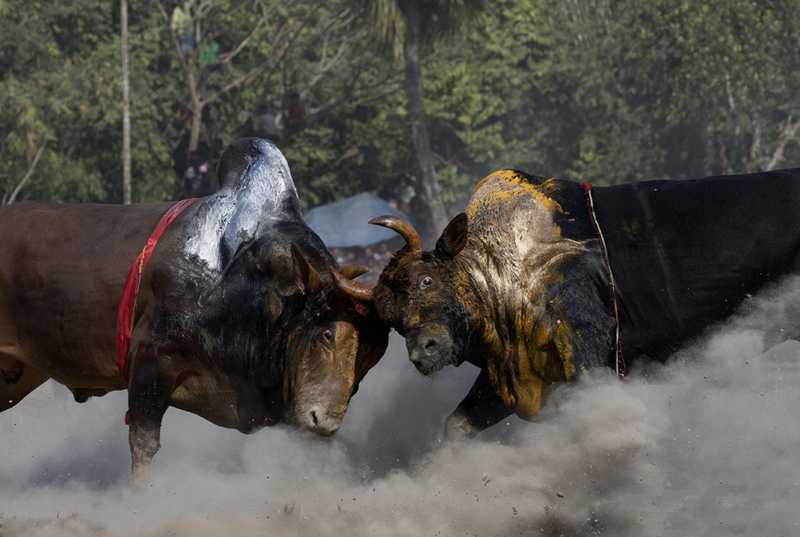 People use different methods to encourage their bulls to fight and win. 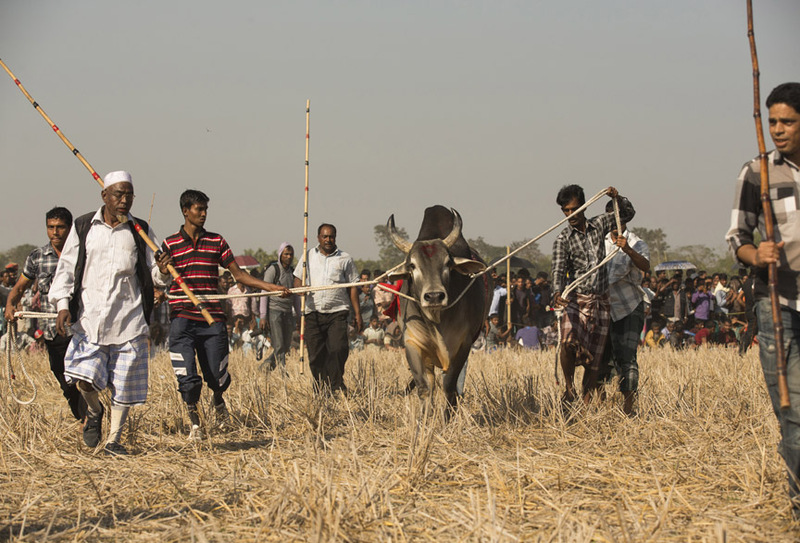 It is really a festival of rural farmer which is deeply related with the cultural values of the nation.